According to a press release, Sprint Nextel would be unveiling a new device, allowing customers to benefit from the company’s 3G or 4G networks. Starting March 20th, customers would be able to purchase the device tagged as Overdrive Pro 3G/4G Mobile Hotspot by Sierra Wireless. Users would be able to connect to a mobile broadband network with a total of 8 Wi-Fi capable device at the same time including laptops, tablets, gaming devices, smartphones, cameras and eReaders. Furthermore, users would also be able to connect to the carrier’s 4G network, enabling download speeds up to 10 times faster than on a 3G network. With Overdrive Pro, users can create a connection between the Sprint 4G network and any Wi-Fi enabled device. 6. Integrated security out-of-the-box requires no additional setup and provides peace of mind when working in public areas. 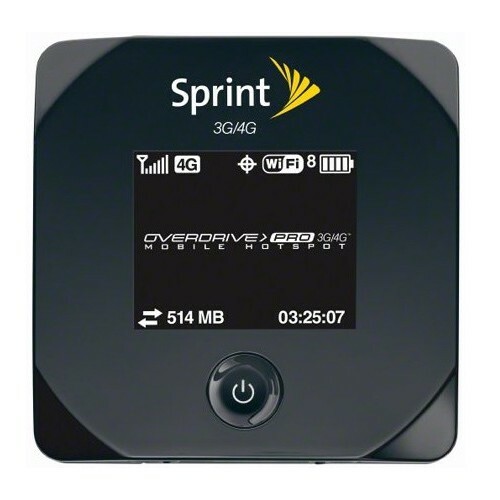 Overdrive Pro 3G/4G Mobile Hotspot is features with a price tag of $49.99 excluding taxes after a $50 mail-in-rebate with a two-year service agreement.